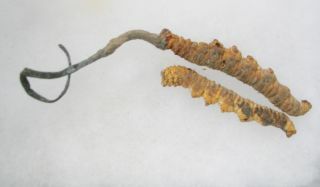 The Chinese caterpillar ( Cordyceps sinensis ) is a rare fungus that has a rich traditional use. It is actually a caterpillar of a wounded worm killed by a fungus called a caterpillar. From the hardened body of the mycelia-grown caterpillar (transformed into sclerotia), the caterpillars of the caterpillar grow on long stems. According to TČM its healing effects are "excellent". Also, scientific literature (several dozens of high-quality references) shows the effect against cancer , the effect on immunity , the effect on diabetes , fatigue and the protective effect on the liver and kidney. Wider use is hampered by the high price and relatively small exploration of this drug. I also apologize that I do not have this medicine so well studied and the statement made here does not refer as thoroughly as ginseng . The main content of the caterpillar seems to be a 3'-deoxynucleoside called cordycepin . 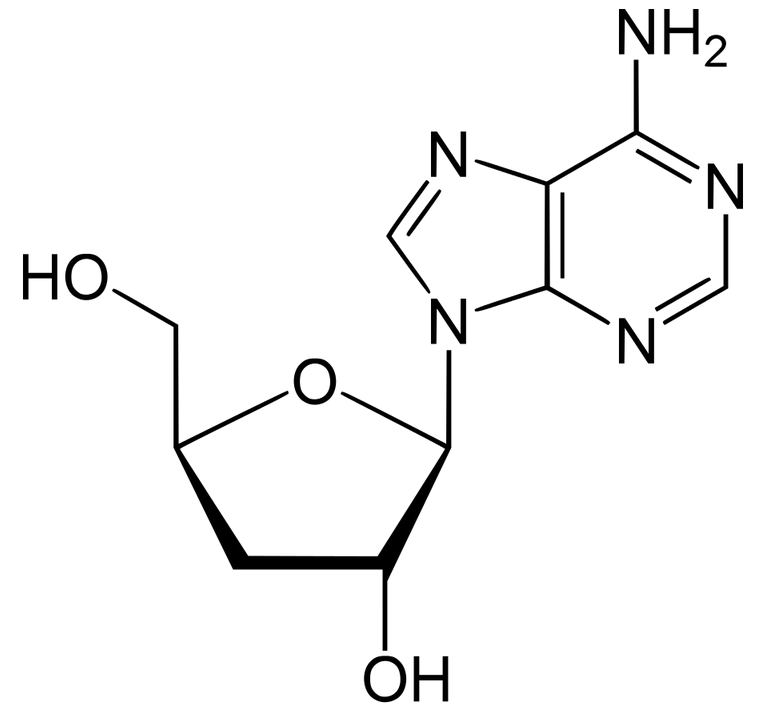 Cordycepin is nothing more than 3'-deoxyadenosine, a natural adenosine nucleoside analogue. Nucleoside analogs are used as a cytostatic agent in the treatment of cancer. Similarly, cordycepin has cytostatic effects against rapidly dividing cells, but is less toxic than the commonly used cytotoxic agent. In addition, cordycepin has significant antidepressant effects. Cordycepin may be harmful at higher doses, so the caterpillar does not have to be a perfect adaptogen. Polysaccharides from caterpillars are attributed to multiple effects in the literature: antitumor, antiviral (specifically influenza ), immune enhancement and also a reduction in blood sugar and cholesterol. Unfortunately, I am not able to judge. Other compounds ( diphenyl ethers , cordyceps alkaloids cordyformamide, cordypyridone A and B, militarinone A, B, C and D and other types of compounds) have anti-cancer, malaria and nerve regeneration effects. The caterpillar also contains slightly anticancer compounds common in other sponges, such as ergosterol . This information comes from the Lin2011chd overview. Chinese caterpillars protect the internal organs (liver, kidneys, pancreas) and slow aging ( Wang2004aes ). Helps with diabetes and in the experimental study Liu2016hmc was found to protect pancreatic β-cells from cellular stress. According to Lee2016aec , it also protects the brain - in case of experimental cerebral ischemia, it has prevented memory damage . The caterpillar improves immunity . Its effect on the immune system is documented by Liu2015ccp . According to the Lee2014aec study, the relative caterpillar has a red ( C. militaris ) effect against influenza . Mainly due to cordycepin, the caterpillar has an antidepressant effect (it affects the dopaminergic system ). This effect is shown, for example, by the Nishizawa2007aec study. However, caterpillars are far more expensive than comparable antidepressants from the herbal realm and pharmacies. Steroids and other non-specific and specific substances have a mild to moderate anti-cancer effect. For all, a Huang2007 study demonstrating the effectiveness of caterpillar against colon cancer cells can be mentioned. We can see, therefore, that there is scientific evidence of the effectiveness of Chinese caterpillars. For the glory of the caterpillar, however, it may not be scientific medicine, but the non-scientific TČM - systematic charlatanism, which gave world medicine a highly effective ginseng and gloss, as well as infamous drugs like tiger bone and horn of rhinoceros. If the Chinese caterpillar is interested, especially in the treatment of specific diseases, consult the TČM practitioner, according to which the combination of animal and "plant" character makes the caterpillar a drug with excellent balance of yang and yang . Chinese caterpillars are definitely not effective, their negative side is only a high price.